Thinking of buying remnant radio advertising? Buying remnant ads gets you discounted radio rates, but it also carries unnecessary financial risk if your media buy underperforms. There are two consequences to that risk: 1) You lose money, and 2) You think that radio won’t work for you. What if you could get radio air time by paying only when listeners respond to your offer? 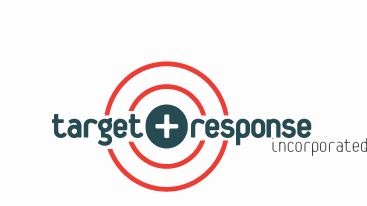 If you are a direct marketer, there’s a lower risk alternative to remnant radio buying – it’s per-inquiry advertising – and that’s exactly what Target + Response is all about. For a wide variety of direct response products and services, we eliminate financial risks that exist with remnant advertising. Rather than buying radio air time, with Target + Response you buy sales leads. You pay on a per-inquiry basis for your radio time, guaranteeing that you pay only for results! Not only will your advertising pay for itself from the very start, but you’ll get an effective radio program that can grow to hundreds of stations and networks, and run continually throughout the year. Per inquiry radio is not for everybody. Only certain types of lead generation offers are right for PI radio. When your offer and copy are positioned for lead generation response, radio PI advertising can complement your DRTV, print and online campaigns. If you thought remnant advertising was the only way to get cost efficient radio time, contact Target + Response. We can help you optimize your radio advertising into a sustainable, profitable program with less risk, lower cost and greater response.